Oranges are a citrus fruit that are approximately the size of a baseball with a juicy flesh whose sweetness varies depending on the variety. 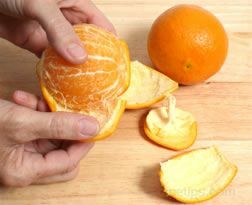 We provide information on how to prepare oranges and their many uses. Learn how to make Candied Orange Zest for a sweet citrusy treat.